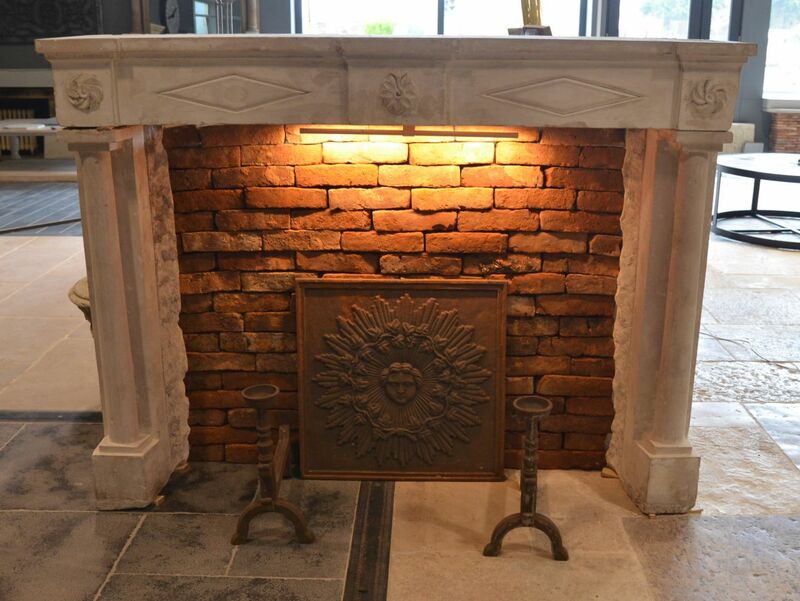 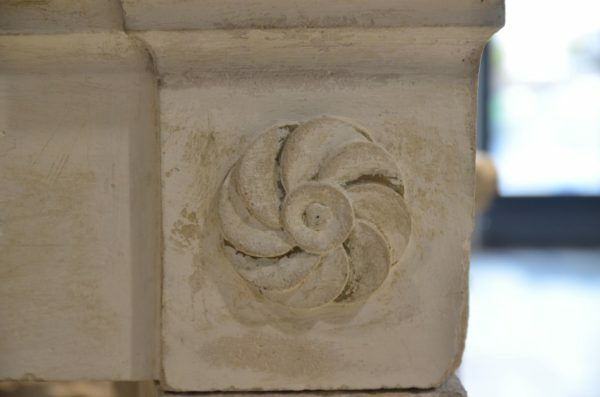 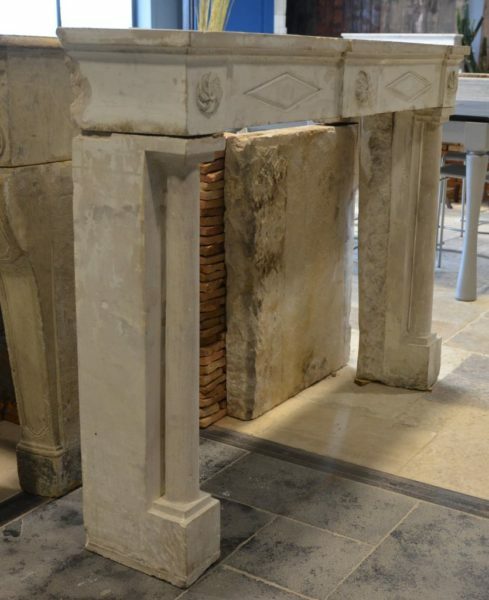 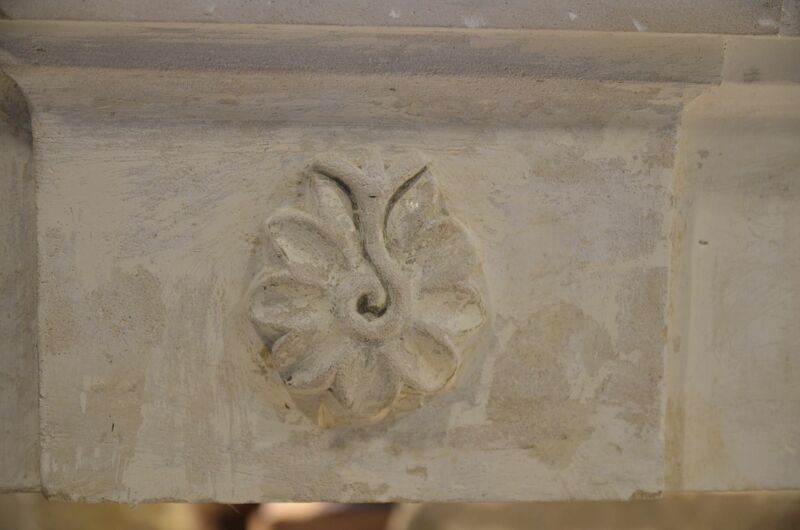 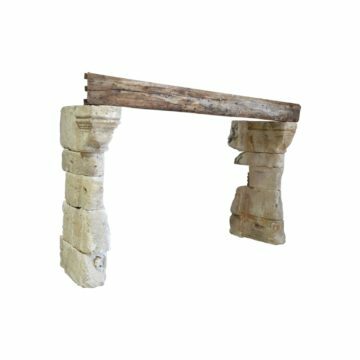 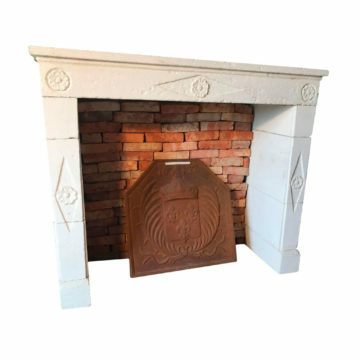 Antique French limestone fireplace with columns: Features classical columns and carved features. On display at BCA’s Normandy premises at Mery Corbon, between Caen and Lisieux. 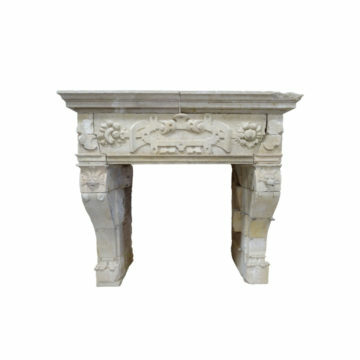 Dimensions approx : overall width : 1625 mm (64 inches). 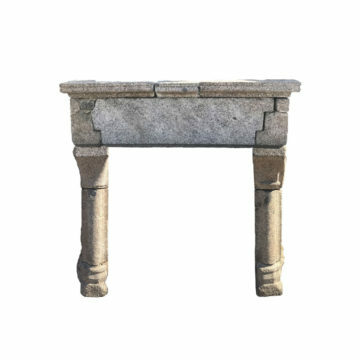 overall height : 1210 mm (48 inches) front-to-back : 340 mm (13.4 inches) firebox : 1200 mm (47.25 inches) between side jambs x 1200 mm below lintel (47.25 inches).